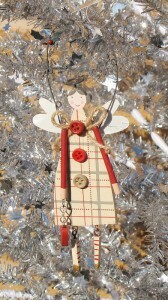 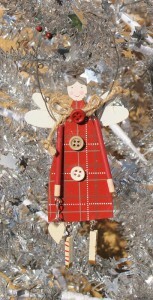 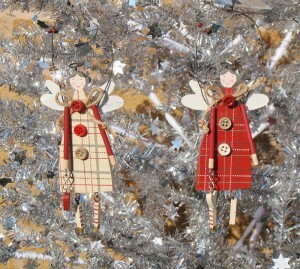 Gisela Graham tartan fairy Christmas tree decoration. 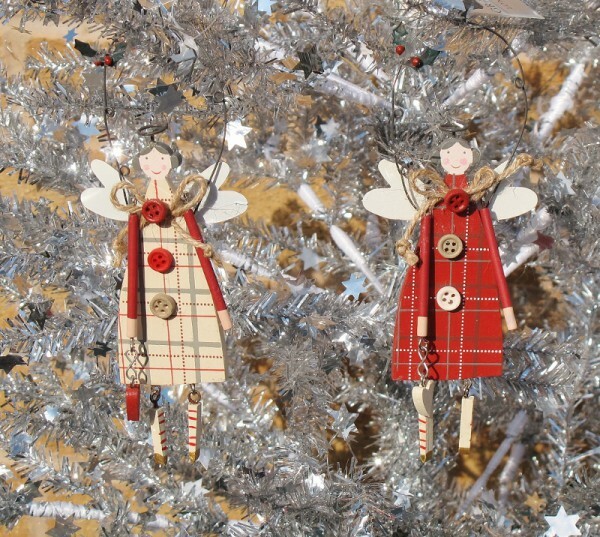 Beautifully crafted from two highly detailed wooden fairies. 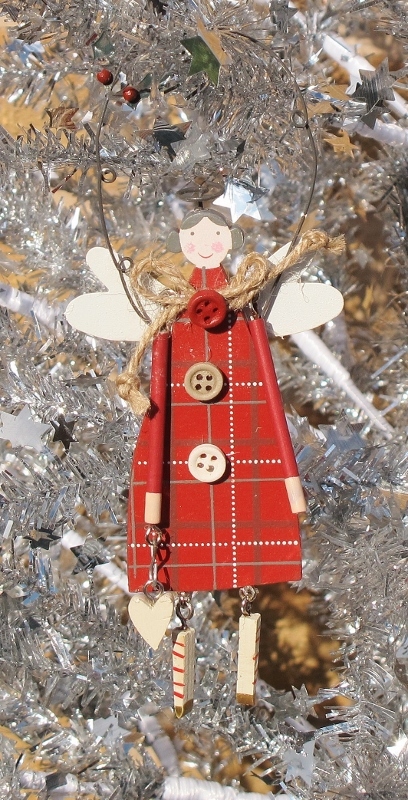 Each fairy wears a tartan dress with contrasting buttons and each holds a wooden heart in their hands, hung from a metal loop with festive holly.